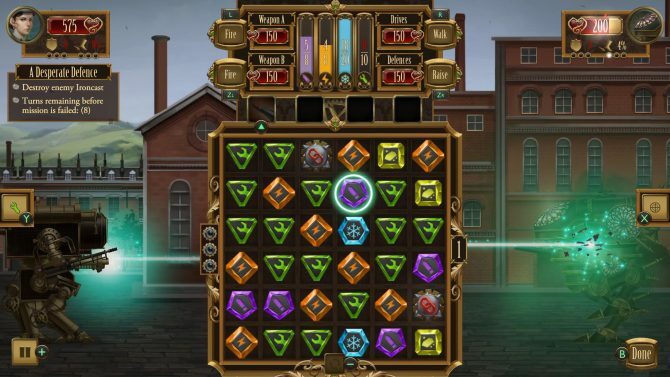 Ironcast on Nintendo Switch, PC, PS4 and Xbox One mixes some (much needed) innovation into the color-matching puzzle game genre. 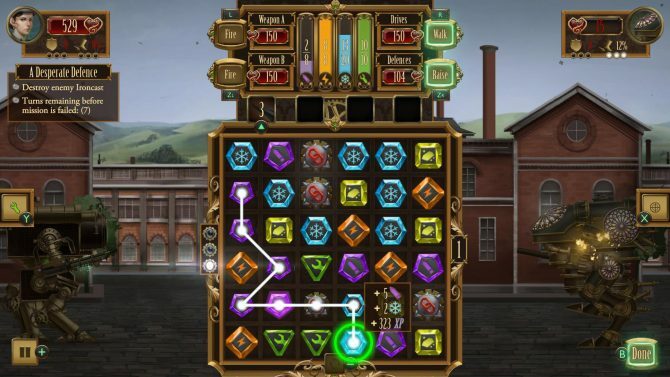 As color-matching puzzle games somewhat similar to Ironcast have become more dominant on both iOS and Android, some negative stigma has formed around these kinds of titles appearing on consoles. They are sometimes seen as too simple and short to really have any staying power or relevancy on a home console. People do tend to forget though that great titles such as Puzzle Quest on the Xbox 360 prove that these kinds of games can still bring fun and addictive experiences to devices that aren’t cell phones. 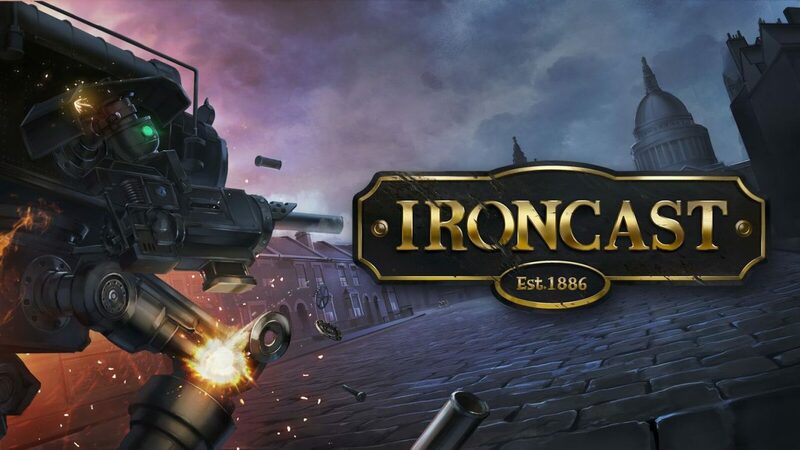 Fortunately, Ironcast falls in with the latter group, touting deep and interesting mechanics that mix in some strategy game and roguelike elements. 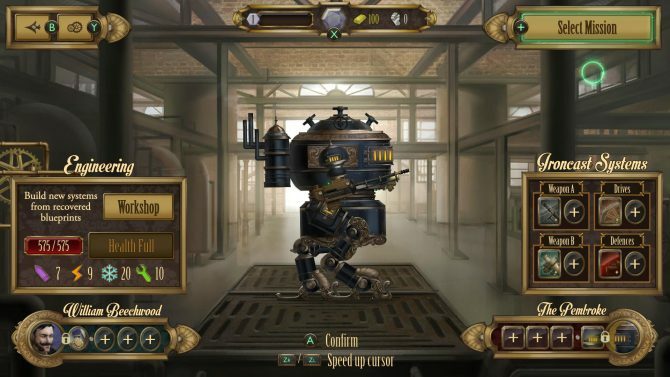 The game stands on its own as both a console and handheld game on the Switch, and manages all of this with an awesome Steampunk setting. The game stands on its own as both a console and handheld game on the Switch, and manages all of this with an awesome Steampunk setting. Ironcast is set in 1886 London, in a world where France and England have been at war for almost ten years over a valuable resource called “Voltite.” In order to gain an edge in battle, the titular Ironcasts, hulking steam-powered mechs, were built by both sides, and handle the most of the heavy work for the armies. Players control one of multiple Ironcast commanders of the British army, carrying out missions to build up the army’s forces and gold supply. 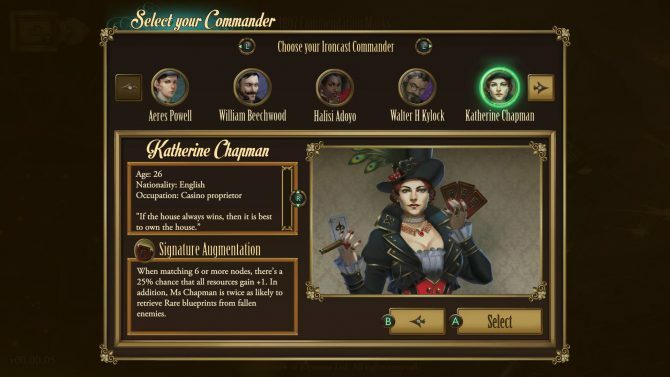 Each of the game’s commanders have interesting backstories detailed in their descriptions, as do the Ironcasts they pilot. While the steampunk world and story may seem somewhat generic upon first inspection, Ironcast does a great job at world building through little things such as mission, character, or Ironcast descriptions. Players must survive as long as the can against the French, taking on different missions to build up the British army, and take down key French opponents. Before players start a campaign in Ironcast, they must choose both a commander and what kind of titular mech they want to bring into battle with them. Each commander and Ironcast has different special abilities, like giving players a boost if a certain number of nodes are matched. Players start the game will only one commander, and awaken with memory loss in a tutorial that weans player into the title’s deep mechanics. During missions, two Ironcasts go head to head, and attempt to deplete their opponent’s HP to 0. While the ultimate goal is to destroy the enemy, players must also keep an eye on four meters at the top of the screen. These display your Ironcast’s ammo count, energy, coolant supply, and repair supplies. Energy allows players to put up a shield around their Ironcast and start walking to raise the mech’s evasiveness. Every action takes heats up an Ironcast’s system, depleting its coolant, so that must be constantly refreshed. Finally, the repair bar allows players to repair individual parts of the Ironcast in order to keep those things functional. These meters must be kept full by connecting different colored nodes on the screen. Purple, orange, blue, and green nodes represent ammo, energy, coolant, and repair respectively. Yellow nodes can also appear, and garner players additional gold if collected. 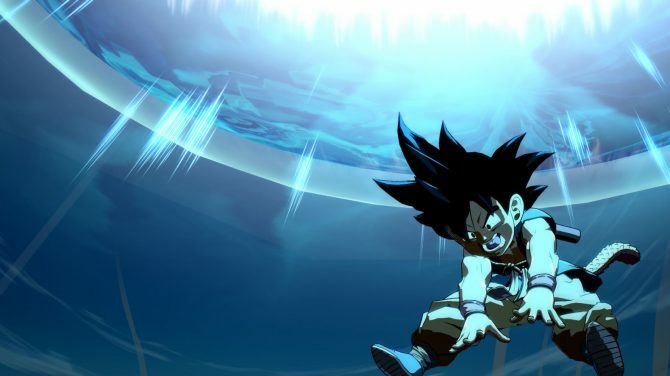 While players can connect as many nodes of the same color as they want, they are only allowed to create offered a limited number of moves each turn. Players can link two different color chains if they run into a rare link node (symbolized by a red chain), but they don’t spawn often. Players can also find white Overdrive nodes, which can power up actions that the player’s Ironcast takes. While this may seem simple and somewhat unoriginal at first, collecting nodes is a ton of fun, and is only the tip of the iceberg when it comes to combat. Once players collect as many nodes as they can on a turn and fill the meters, it is time to spend those points. Each Ironcast is equipped with two weapons, which take various amounts of ammo to use. 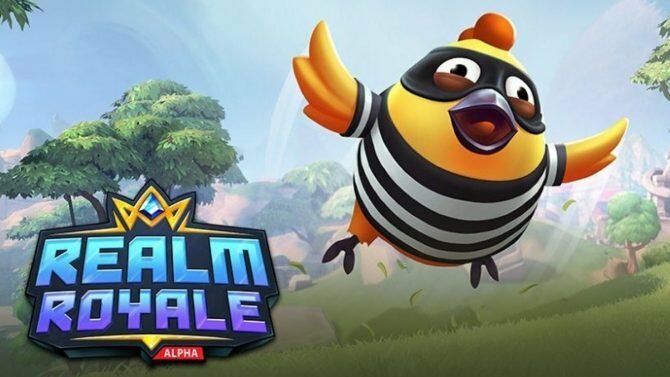 Players also have a shield they can put up and can start walking to increase evasiveness. All of these systems have their own health bars, even on the enemy, so it is smart to directly choose which parts you want to target when taking on an opponent. I started most matches by target my enemies’ shields, as those can become a detriment as the battle goes on. If any of these systems go down, it can hurt one’s chances to survive a mission, so it is smart to constantly keep an eye on their healthbars and repair them when needed, though repair these parts doesn’t refill the Ironcast’s health bar. Each turn contains a ton of micromanaging, and while it may seem overwhelming at first, it really sticks once you get the hang of it. Ironcast’s gameplay makes you feel like you are inside a mech’s cockpit, constantly checking on tons of different systems, and becomes very addictive and rewarding as the game goes on. 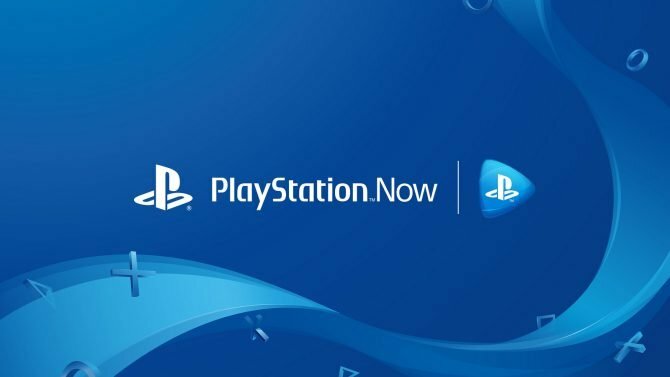 While connecting nodes stays very entertaining, playing on a controller can cause a few problems when if you are trying to connect nodes that are located diagonally from each other. These inputs can sometimes be registered in different directions and into Overdrive and Link nodes, which can sometimes be unwanted and is somewhat frustrating to undo. Even when playing with touch screen controls on the Switch, connecting nodes doesn’t function as smoothly as in other similar titles. While this flaw is manageable, it does slow down an already slow-paced game even more. After each mission, players are brought back to a hanger, where the Ironcast can be repaired, augmented, and leveled up. Leveling up unlocks new abilities for both commanders and Ironcasts, and become very useful in later battles. Bringing one’s Ironcast back up to full health can sometimes be expensive in terms of gold, but is worth the cost, as going into battle with a damaged mech is a death sentence, and death is permanent in Ironcast. If a player dies at any point during Ironcast’s campaign, they must restart from the beginning. While this is frustrating both at the beginning and when you lose more than an hour into a campaign, each campaign nets players Commendation Points. These points can be used to buy new Commanders, Ironcasts, Abilities, and general gameplay buffs that make later runs easier. These roguelike elements are very welcome, as Ironcast is a very difficult game, and while some of that can rely on luck, it never gets frustrating. Ironcast ended up becoming yet another indie gem for me on the Switch. 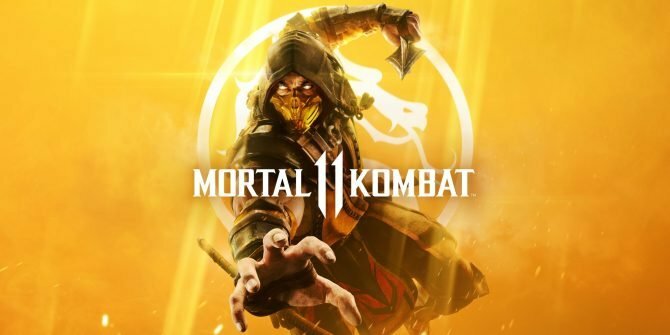 While it’s mechanics were initially daunting, once I got the hang of them I couldn’t stop playing, and kept trying to get further and further with each consecutive run, hoping to take on one of the game’s giant bosses. As a fan of both strategy games and roguelikes, I was happy to see that those elements blended nicely with the puzzle genre here to create a memorable experience. While Ironcast’s controls could feel somewhat restrictive at times, and RNG elements out of my control could sometimes end my campaigns early, I never felt discouraged about jumping back in. 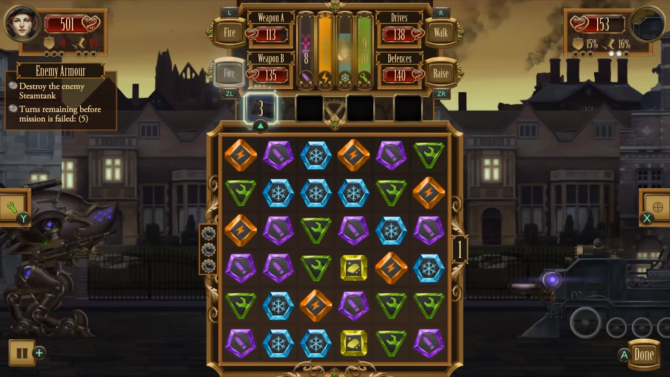 Ironcast is able to capture that “one more turn” feeling, which allows the game to stand on its own on a console such as a Switch. The system’s portability is also a great fit for the game, as I could easily knock out one or two missions while on the go. It reminded me of puzzle games from the heyday of Xbox Live Arcade such as Peggle and Puzzle Quest, and makes me hopeful that the Nintendo Switch will be a similarly great platform for smaller, outside the box indie games such as Ironcast. Ironcast, both Dreadbit and Ripstone Games' first foray onto the Nintendo Switch, is now available for $12.99.